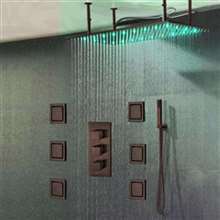 This state of the art, recessed showerhead provides rainfall, cascading waterfall and/or mist functions. 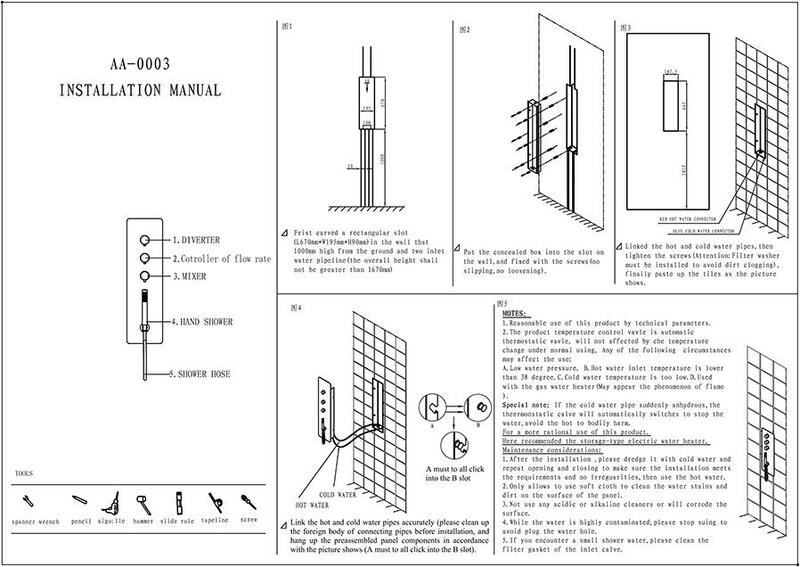 Additionally, there is a "steady stream" function which comes out of the middle of the panel, much like a giant faucet. This is perfect for weary back and shoulder muscles. LED provides visual cues to water temperature. Handheld shower provides additional coverage. I wasn't sure about getting this one at first because it seemed rather expensive. However, quality does come at a price, and that is what I am banking on right now. So far, the whole thing is working great after it was installed about two months ago. I was talking to the contractor as well and he told me that it seems to be of good quality and make. Still, will need to wait and see how well this works a few months from now. But for now, I'm pretty happy with it. The whole shower set is just great. I love using this thing, so much so that I think I'm spending more time in the shower than I should. All the features mentioned in the product description are present and working. Sure, I think I over spent my budget on this shower set, but I am very happy and don't feel sorry that I did.